Hotham Alpine Resort is located inside the Australian Alpine National Park along the Great Dividing Range in Victoria. Hotham is about 4.5 hours drive from Melbourne or 8 hours from Sydney. Mt. Hotham Village sits above treeline and has multiple restaurants, lodging, and nightlife options. Visitors can also stay in Dinner Plain; a luxurious alpine village about 10km away. Hotham Alpine Resort is a modern ski resort with great facilities and options for all abilities. Beginners have a dedicated learning area off of the Big D Express lift or The Summit lift. Intermediate skiers should head over to The Orchard lift to find excellent blue runs. Advanced to expert trails are abundant at Hotham including access to cat skiing and long steep terrain. The Gotcha lift has access to chutes and some tree glades. 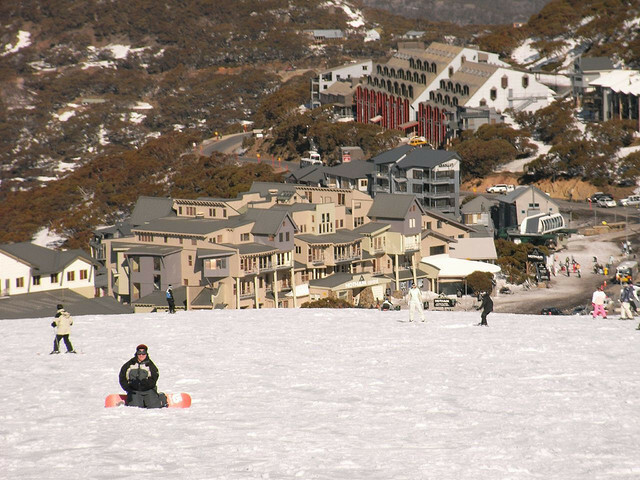 Hotham is also home to the Basin and Summit Terrain parks. Night skiing is also available. Hotham Alpine Resort is a great destination for families and provides ski school for aspiring skiers and snowboarders. Hotham is also host to cross country skiing, cat skiing adventures, kids snowmobile rides, sled dog tours and tobogganing.